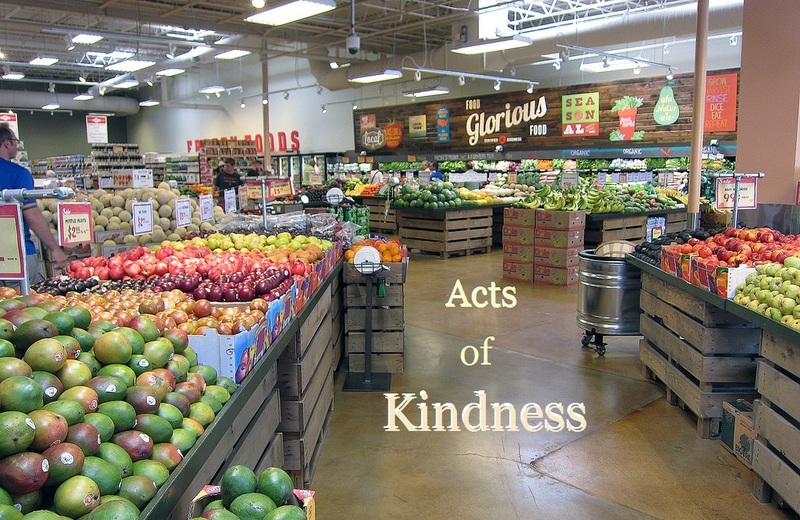 Home Good Acts and Stories Grocery Store Acts of Kindness and More! Below are acts surrounded by food! There are grocery store acts of kindness, restaurant acts of kindness and more. Spend a minute, breathe easy and enjoy. For the gentleman in the bow tie who paid for my groceries Nov. 18 at Aldi on Roue 8. You touched my heart with your random act of kindness. No one has ever done anything like this for me. I so enjoyed talking with you while we waited our turn at the checkout. Hopefully your son won his soccer match. To show my gratitude, I will pay it forward with my own random act of kindness before Christmas. Below a man was on his way to an Oregon Ducks game. He popped into the store to buy a watermelon. A kind woman offered to let him go first. So, he paid for her groceries. A $55 watermelon. It’s all good. This one is in Little Elm, TX from Channel 8 News. A server stopped to console a crying women. Little did he know that gesture would result in a $500 tip! A 32 year old North Texas man makes impressions everywhere he goes. Casey was at a Kroger store and noticed a woman who looked like she was having a bad day. He walked up to her, asked her if he could help saying, “anything I can do to make someone smile.” He paid for her groceries. He told her she was beautiful. The rest is below as a family came to his place of employment, bought a 37 cent water and left a $500 tip. Watch.